If the rumour mills are to be believed, Neymar Jr. has already found his new love just weeks after going through a break up. The PSG star has reportedly started dating stunning Brazilian model Mari Tavares, who shared a loved-up snap of the duo a couple of days back. 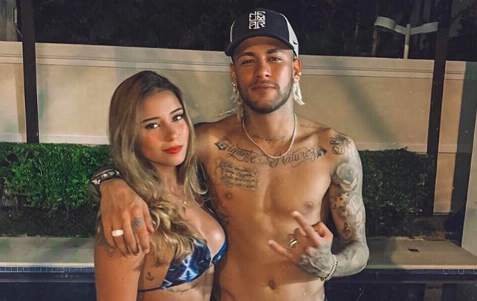 In the Instagram photo, Neymar – posing shirtless – can be seen keeping his arm around Tavares’ shoulder, who showed off her curves in a skimpy bikini. Fuelling the rumours further, she added a kissy emoticon. Tavares, who is also a YouTuber, has a fan base of 184,000 on Instagram. This comes just weeks after Neymar, 26, ended an up-and-down six-year relationship with model Bruna Marquezine. Although they didn’t reveal the exact reason behind their split, Marquezine confirmed it was Neymar who decided to pull the plugs. “It was a decision that came from him, but there is a lot of respect, a lot of love, for him and for everything that we have lived for,” Marquezine, 23, had said.